The Strategy outputs provide an evidence base for use in decision-making processes including planning and land management. The underlying principle of the Strategy is to wherever possible conserve extant sites, and to create new sites, in order to enhance the quality and extent of the feeding and roosting resource for waders and Brent geese. 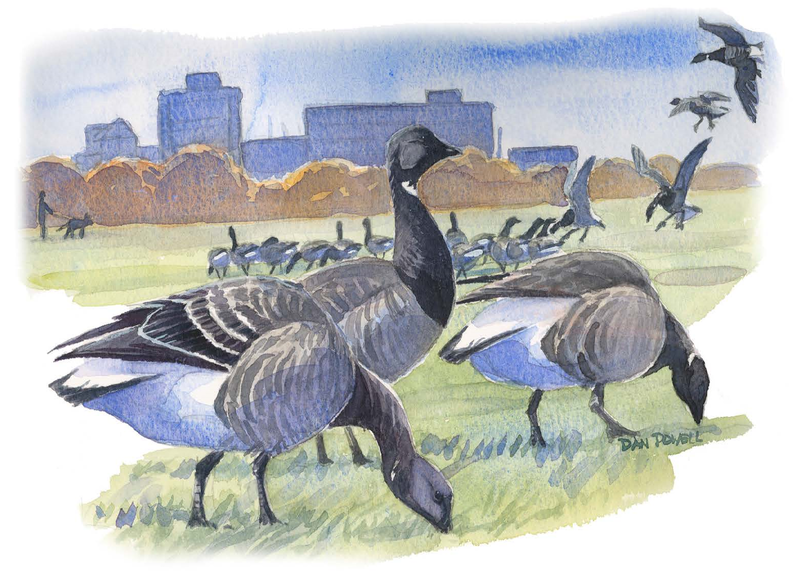 The Solent Waders and Brent Goose Strategy published in 2010 explains the conservation need, survey and analyses methodologies used, and the steering group’s recommended conservation policies. The document is due to be updated in 2019 and therefore does not reflect current planning policies or the new site classification system, however does provided useful context and ecological information. The latest current use mapping can be viewed below and the new classification system explained in the interim project report. Site classifications are subject to change should more data be provided, as soon as sites are reclassified the mapping will be updated. New mitigation guidance is also available and recommended to be viewed in conjunction with the interim report and current use mapping for decision-making. The bird records and GIS layers are available to funding partners and all data requestors via HBIC . Please contact HBIC for data requests.